-Enjoyed our visit to the chateau. Very peaceful and fantastic views from the bedroom window. Thank you. -Many thanks for very comfortable accomodations, delicious food and very gracious hospitality ! Merci mille fois. -What a magical and wonderful experience. 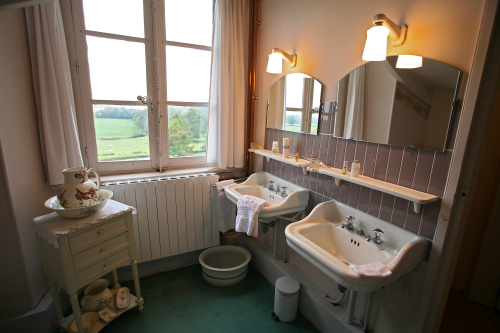 Staying here in such a quiet and bucolic surrouding has really enhanced our memories of staying in the Loire Valley. 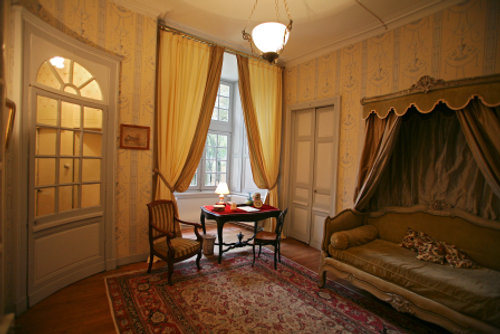 I cannot think of a better way that would capture the essence of château living and the french country life style. -We have so enjoyed the wonderful experience of staying in your beautiful and peaceful château, it has been a great privilege. Our evening spent with your family was one we will always remember, warm hospitality, good conversation and great humour ! Monique and Wilfrid thank you, you have a beautiful home in exceptional surroundings. Constance is a delightful young lady and your dogs made us very welcome too ! Thank you again for such a happy visit. We will stay with you again. -Dear Madam and Monsieur, this was such a treat to stay in your beautiful home. I loved the visit with you and your friends. Your suggestion for dinner was such a great experience too. I will never forget this part of my trip. Thank you so much for your wonderful hospitality. 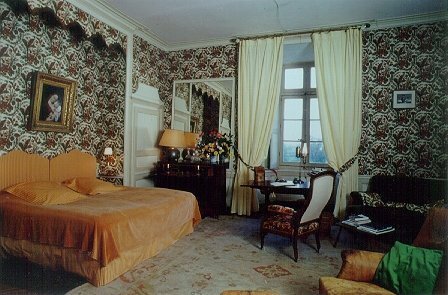 -Located on the first floor, in one of the tower of the château, the suite opens south with a view on the Sauldre valley and the garden. -Second night and more: 120 Euros per night. Bathroom and toilet en suite.